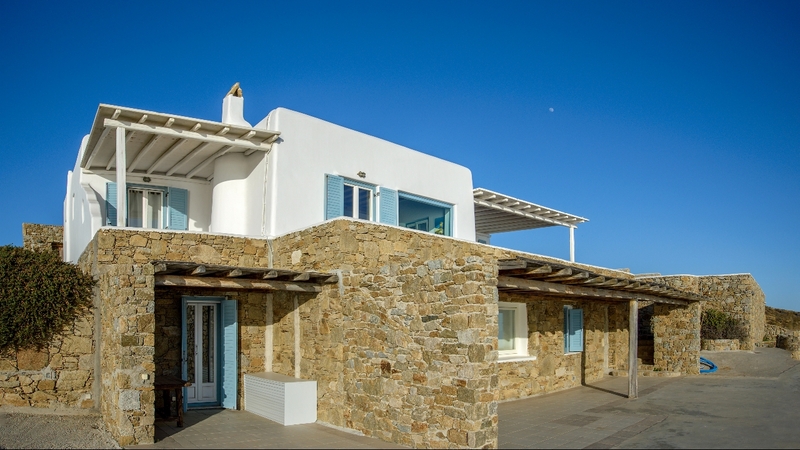 The bright sun of Mykonos, the amazing sea view, the serenity and privacy are the key elements of your stay in the Lighthouse Villa. 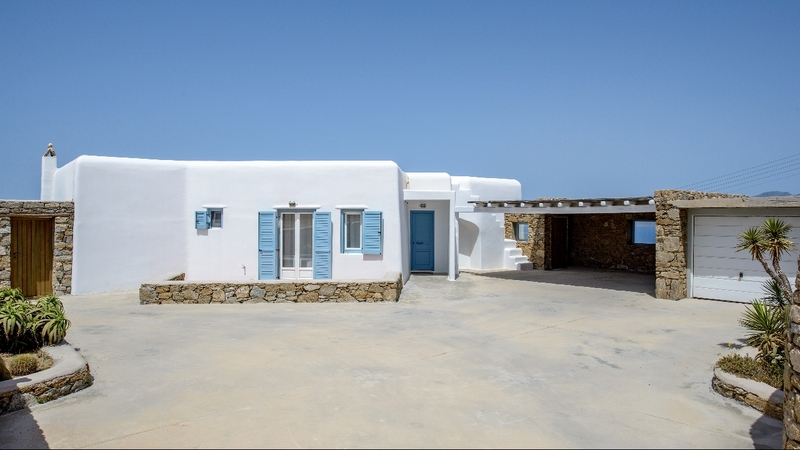 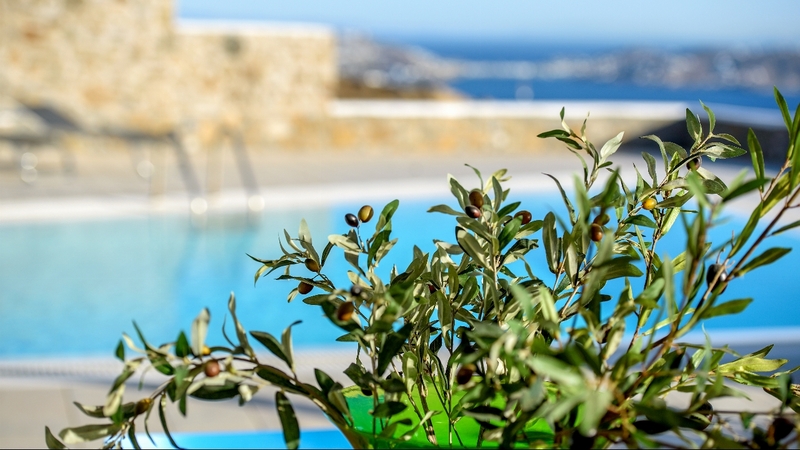 Welcome to a spacious five bedroom luxury villa Mykonos with an amazing infinity pool that becomes the best accommodation choice for you to enjoy, relax and fulfill your holiday dream in Mykonos, blessed by the eternal light of the Aegean Sea. 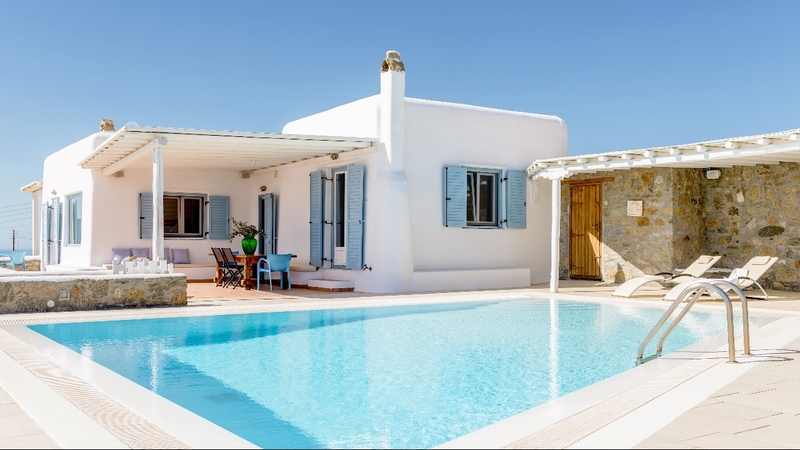 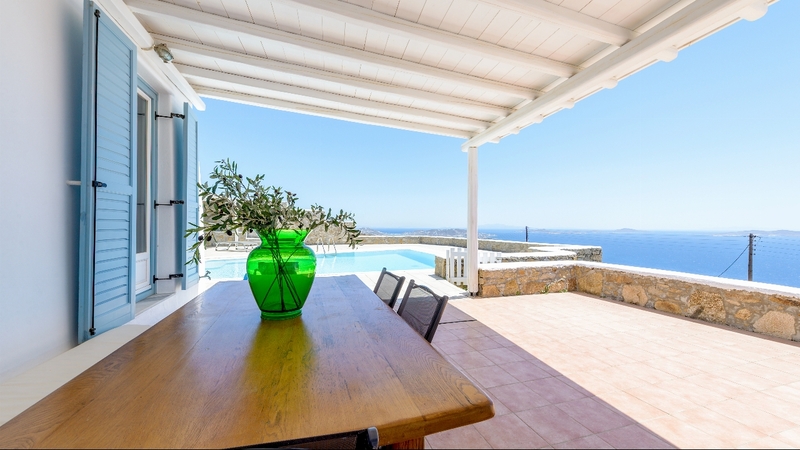 Lighthouse Villa features 5 bedrooms, 4 bathrooms, an infinity swimming pool, an outdoors bbq, dining areas - indoors and outdoors, a fully equipped kitchen, a garden and unobstructed views to the Aegean Sea. 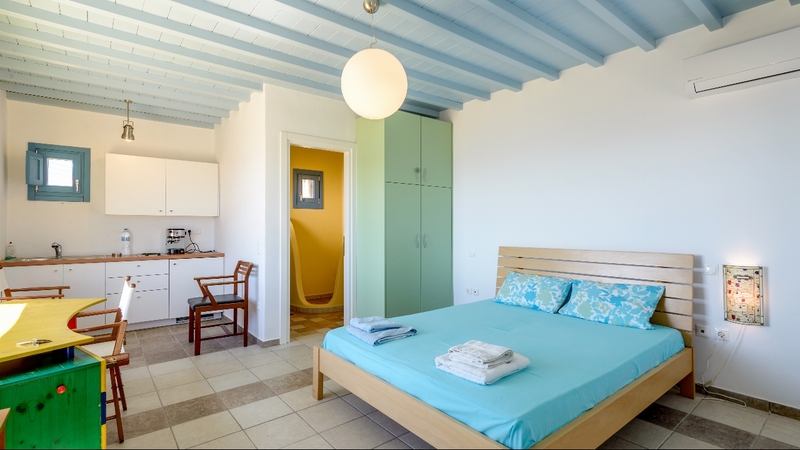 The main villa has one bedroom with an en-suite bathroom, 2 bedrooms which share a bathroom, as well as a study to work if you feel like it. 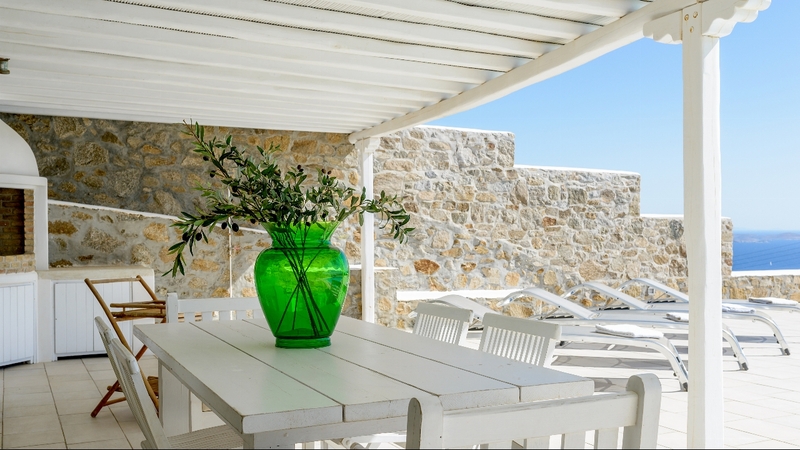 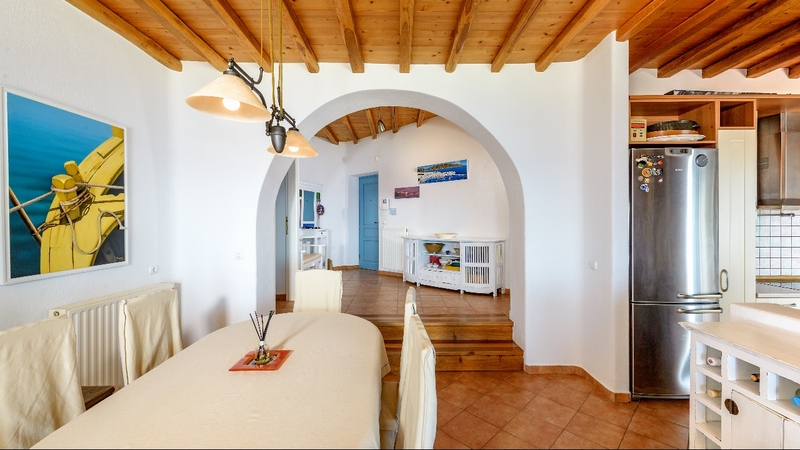 In the main villa, you will also find a dining room, a sitting area and the modern kitchen. 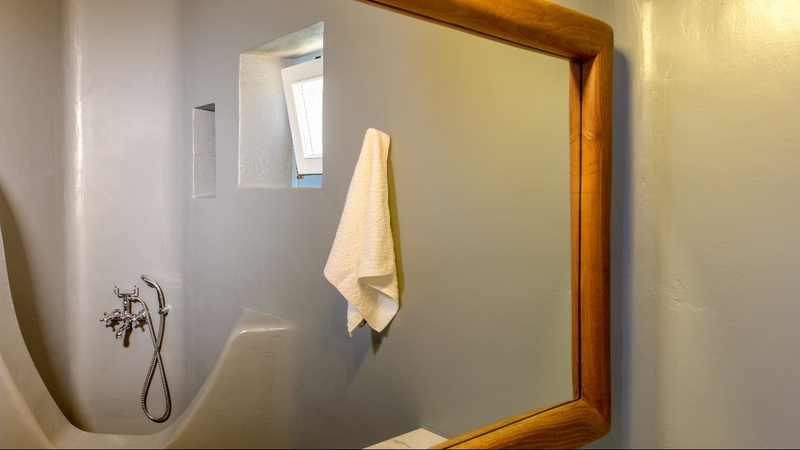 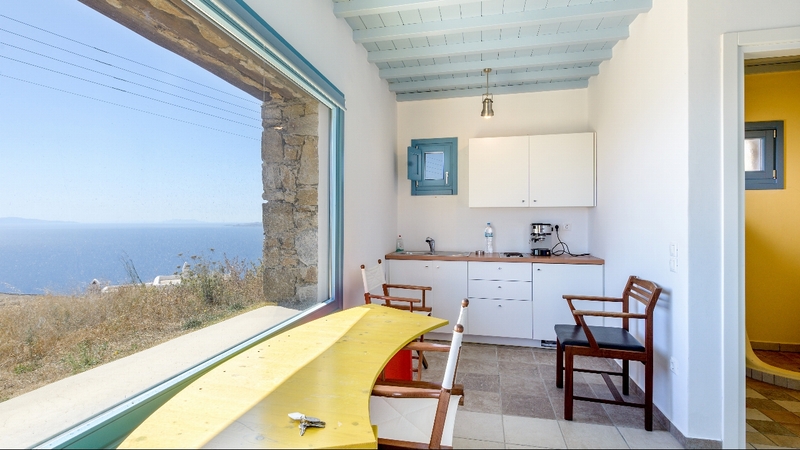 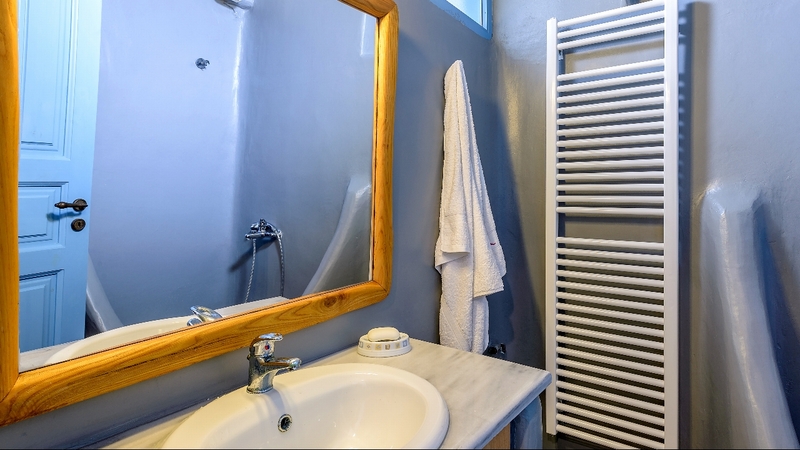 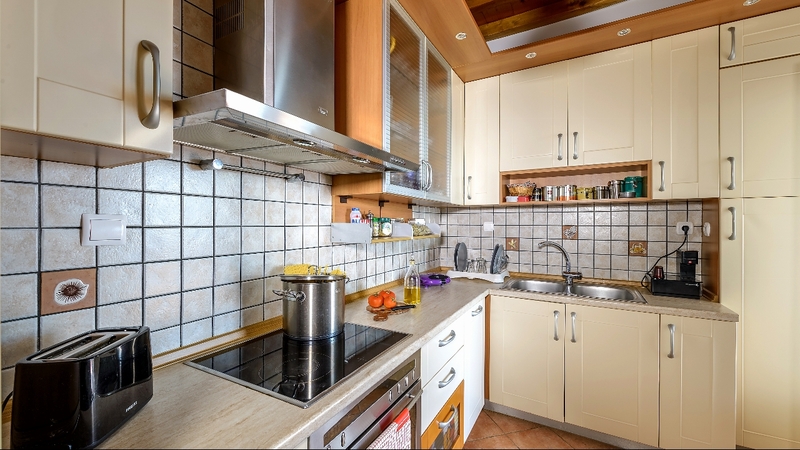 However, your accommodation in Lighthouse Villa does not stop there, as on the other floor, you will find another two guest rooms with its own kitchen and bathroom. 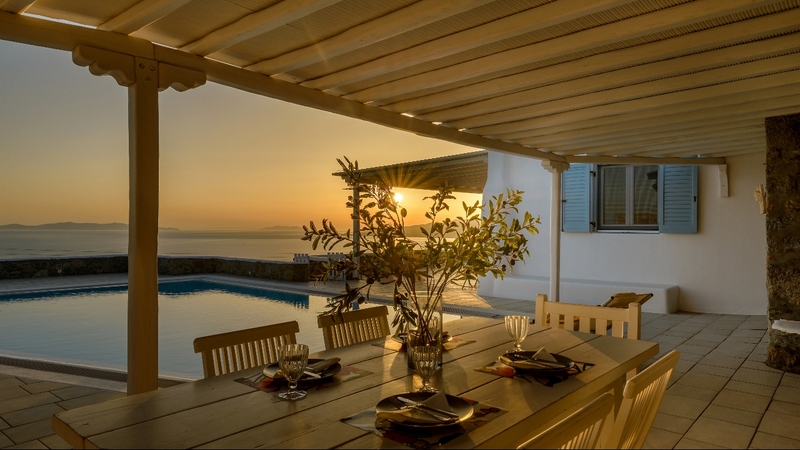 Dining areas inside and outside. 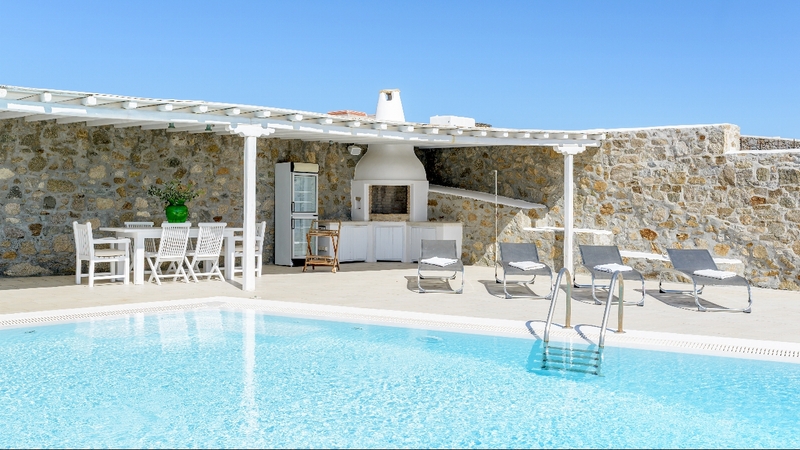 THE ABOVE RATES ARE FOR UP TO 6 PERSONS: EACH EXTRA PERSON CHARGE: £50.00 PER NIGHT. 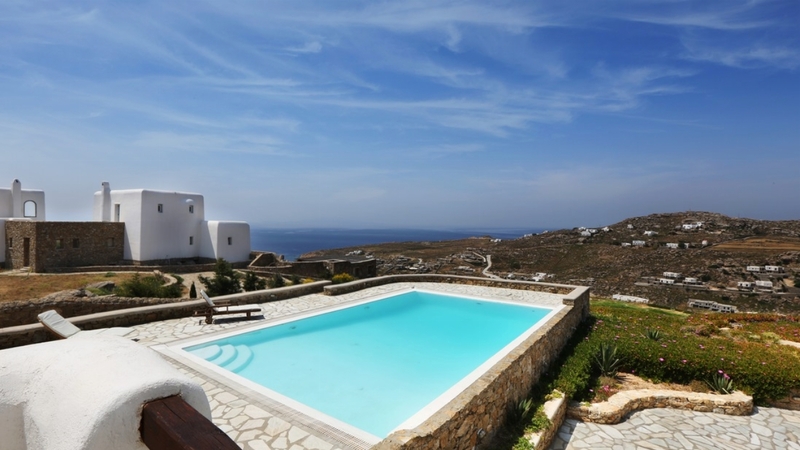 The above rates are per week, but there is a minimum stay 3 nights for low & middle seasons & 5 nights for high season. 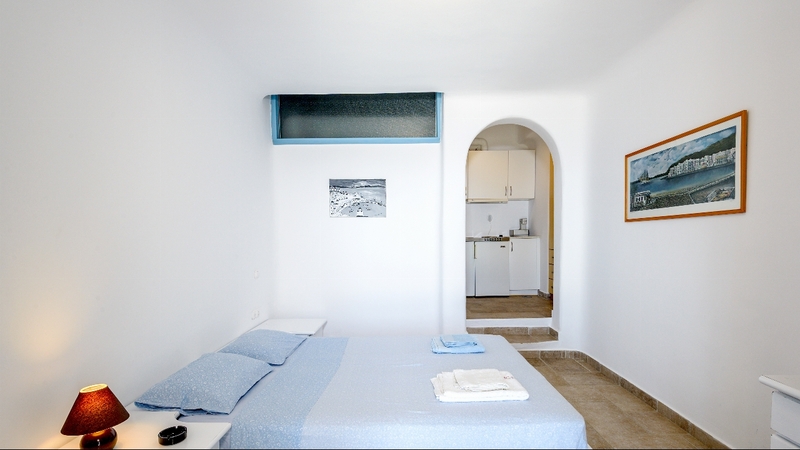 Rates include all applicable taxes, private swimming pool, daily housekeeping, dedicated concierge person, free Wifi. 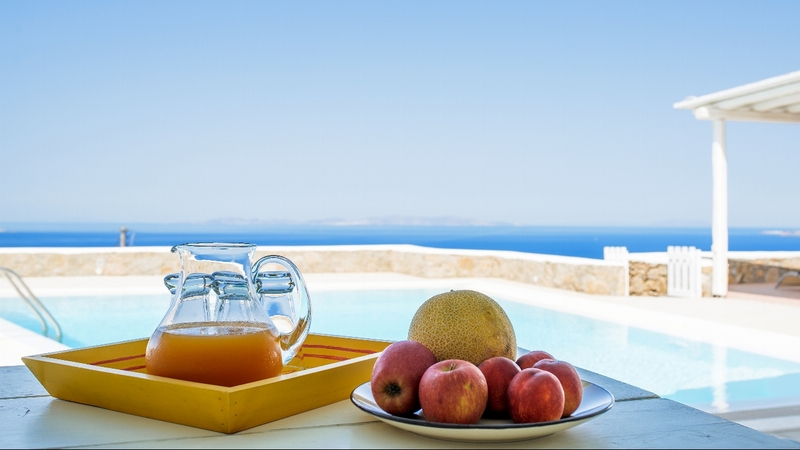 Daily breakfast basket: 10 euros per person/day. 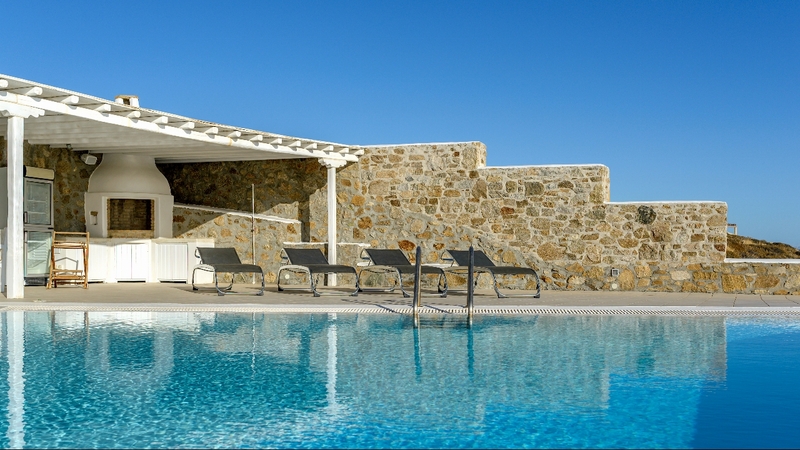 Children must be supervised by an adult at all times when using the pool and outdoor areas.